a recent drone shot verticle panorama style image, shot with dji phantom 4 pro drone , 5 frames merged in ptgui. Glorious! Very creative using the drone. Nice merge, too. Jaw dropping! Absolute killer! Dream shot! 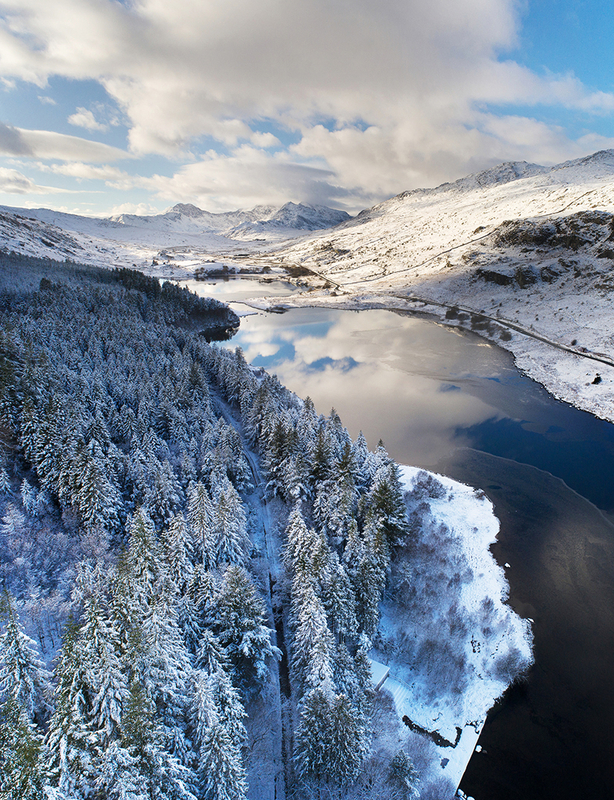 Love the snow in Snowdonia! Very ice incredible stillness in the water, great reflection. Wow - very dramatic and beautiful.